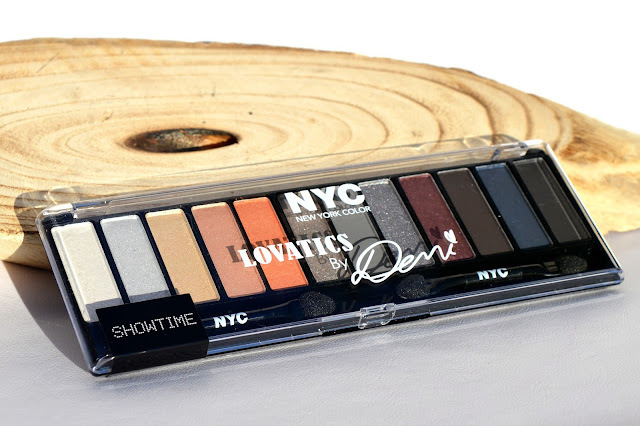 Since a while, Demi Lovato is the new face of the brand NYC (New York Color). 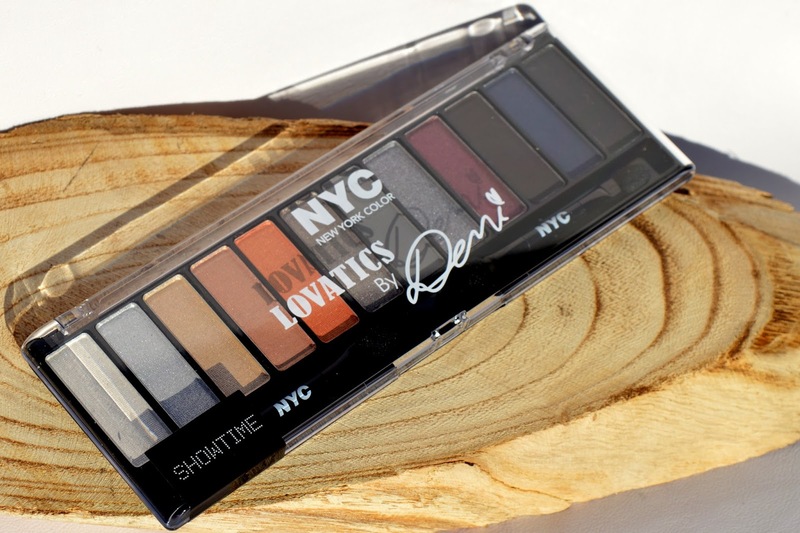 She released several palettes, but I bought myself 'Showtime'. I love the colors in this palette! You have eyeshadows with a lot of shimmer in them, but also a few matte ones. This is the perfect combination for me! I've put the palette next to my arm because the colors don't have names. This way you can see which color there is swatched on my arm. These colors are very well pigmented, for the colors I say YAY! But there is also a downside: by using this palette you have a high risk of fall-out. The eyeshadows are so 'powdery'. 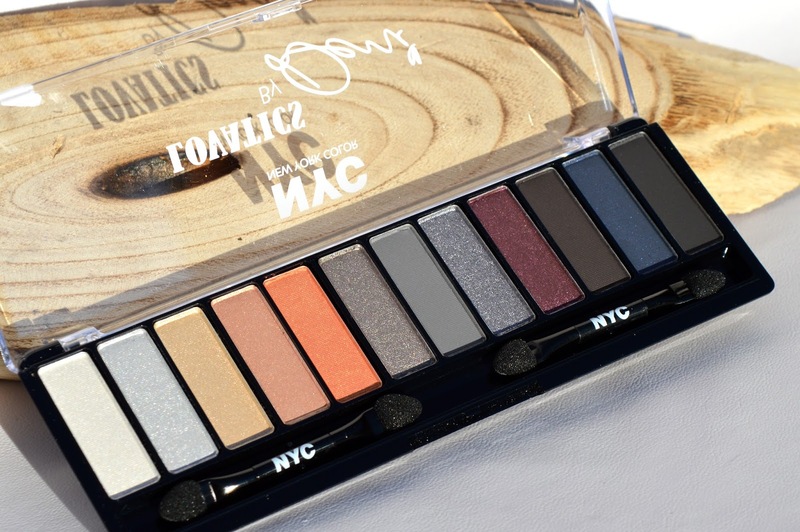 If you want to apply these colors, be sure to tap off the excess eyeshadow from your brush first. I have to say, the names of the colors are really soooo unoriginal. On the back of the palette you can find some tips on the looks you can create with this palette. I always to prefer to do my own magic and create my own looks with the colors. But feel free to use these tips if you're not so experienced! 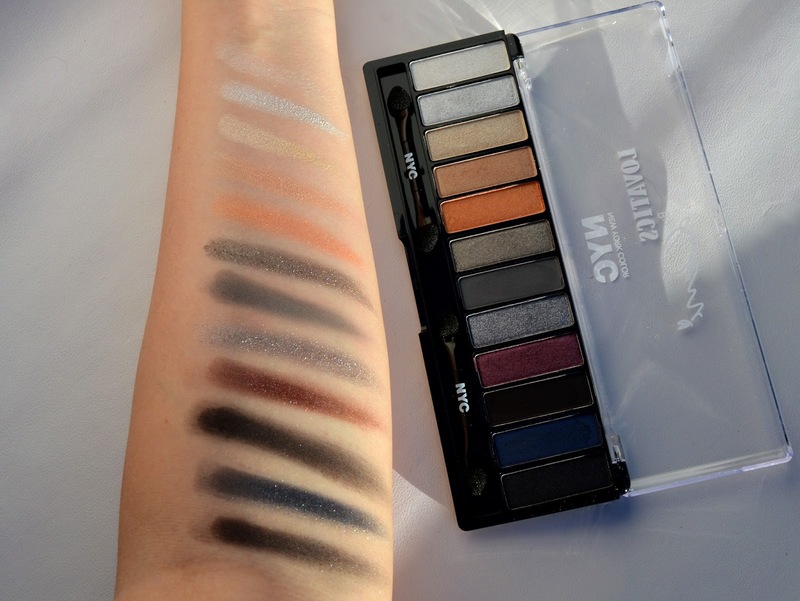 Will you buy this palette? Niet helemaal mijn kleuren, maar wel mooie pigmentatie precies! One Month Anniversary - Win Win Win!